The Montana Nanotechnology Facility (MONT) at MSU provides researchers from academia, government and companies large and small access to university facilities with leading-edge fabrication and characterization tools, instrumentation and expertise within many disciplines of nanoscale science, engineering and technology. 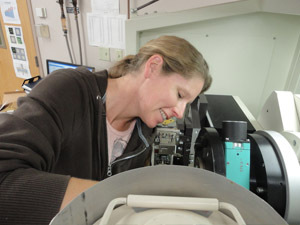 The labs included in the MONT Facility at MSU are the Montana Microfabrication Facility (MMF), the Imaging and Chemical Analysis Laboratory (ICAL), the Center for Biofilm Engineering (CBE), the Mass Spectroscopy Facility (Mass Spec) and the Center for Bio-Inspired Nanomaterials (CBIN). These multidisciplinary facilities are housed in MSU’s College of Engineering and College of Letters and Science. 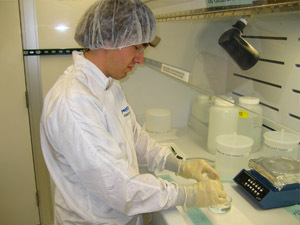 The Montana Microfabrication Facility is a user facility open to university students and faculty as well as extramural users. The MMF facility comprises three separate areas: the EPS cleanroom, the Cobleigh process cleanroom and the Cobleigh packaging room. The EPS facility is a 1500 sq. ft. lab consisting of a class 1000 lithography area and a class 1000 general processing area. The Cobleigh process facility is a 500 sq. ft. class 10,000 lab that is home to MMF’s PVD deposition tools and the packaging room is a 200 sq. ft., class 10,000 softwall cleanroom. The labs are located in adjacent, connected buildings. Access to the MMF facility is restricted to authorized users. Training is available. ICAL is a user oriented facility that supports basic and applied research and education in all science and engineering disciplines at MSU. The laboratory provides access to state of the art equipment, professional expertise and individual training to government and academic institutions and the private sector. Laboratory instrumentation is dedicated to the characterization of materials through high resolution imaging and spectroscopy. ICAL promotes interdisciplinary collaboration between the research, educational and industrial fields. As a shared user facility, ICAL serves over 20 departments and centers, over 24 Montana companies, and over 16 Non-MSU academic institutions, government labs and commercial companies. ICAL interacts with over 200 students a year in such activities as class demonstrations and teaching, short courses, individual research projects, K-12 outreach and related activities. At the Center for Biofilm Engineering (CBE), multidisciplinary research teams develop beneficial uses for microbial biofilms and find solutions to industrially relevant biofilm problems. The CBE was established at Montana State University in 1990 as a National Science Foundation Engineering Research Center. Montana State University has provided a supportive environment and a central location for the CBE's laboratories and offices in the Engineering and Physical Sciences (EPS) building. In turn, the CBE's focus on mentoring students provides them with the type of hands-on learning, participation in leading research, and interaction with worldclass scholars that represent MSU's core values. The Center’s three-fold emphasis in research, education, and industry continues to produce results and exciting opportunities for students, staff, and faculty—as well as industrial partners. The mission of the National Science Foundation Center for Biofilm Engineering is to advance the basic knowledge, technology, and education required to understand, control and exploit biofilm processes. The mission of the Proteomics, Metabolomics, Mass Spectrometry Facility is to seed methods, technology, and applications to research labs at Montana State University as well as our external users and collaborators. This facility offers a full range of services from single samples to complete proteomics and metabolomics projects. Periodic hands-on training sessions are offered by the facility staff. The goal of the training modules is to expand facility access to researchers with little or no previous training in proteomics, metabolomics, or mass spectrometry. Individual training can also be arranged. Please contact the facility personnel listed below if you wish to discuss training or submit samples for analysis. 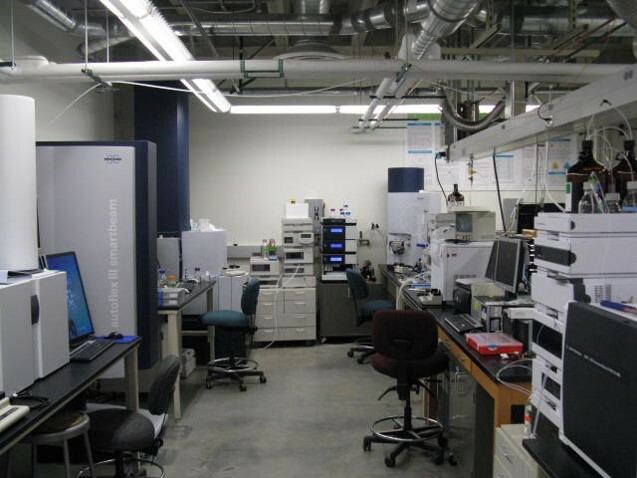 The mass spectrometry facility currently has 9 instruments including GCMS, MALDI-TOF, ESI-QTOF, and ESI-IonTrap configurations.